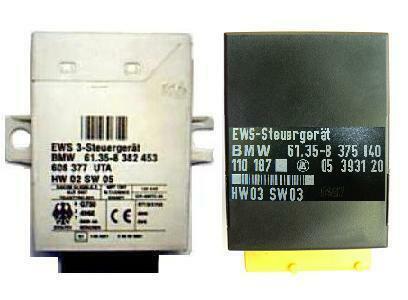 BMW, Rover, Mini immobox EWS Memory device is Motorola MCU MC68HC11EA9 PLCC52 or MC68HC9S12D64 QFP80 package. IMPORTANT NOTE: Motorola MC68HC9S12D64 and MC68HC11EA9 are LOCKED.Use proper programmer to read them. For Motorola MCU MC68HC11EA9 PLCC52 package expected file size is 512 bytes, for MC68HC9S12D64 QFP80 package expected file size is 1024 bytes. Use PCF7935 or Silca T15 - JMA TP14 transponder. Written transponder is ready to start car. Software always program first unused key. After programming of transponder, software stores in PC registry key number along with file information, so on next press of PROG button to be programmed next unused key. Also this is useful, if same customer came back for second key or if again all keys are lost- you do not need to remove and read again EWS eeprom. Just open customer`s file and software automatically will position on next unprogrammed key, cause it finds in registry which key was programmed in previous. 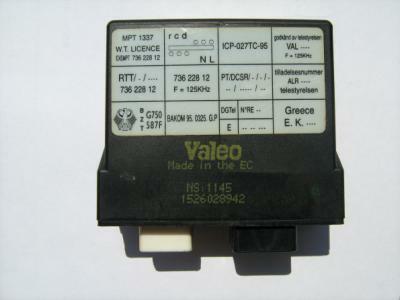 Honda, Rover immobox Valeo Memory device is Motorola MCU MC68HC05B16 PLCC52 package. Expected file size is 256 bytes. Use T5 transponder. Written transponder is ready programmed to start the vehicle.